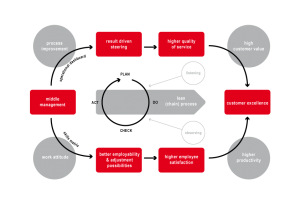 Middle management is an important spill when it comes to reaching Continuous Improvement and Customer Excellence. Focussing on the more hard factors like operational dashboard which facilitates result driven steering with the end result of high customer value. 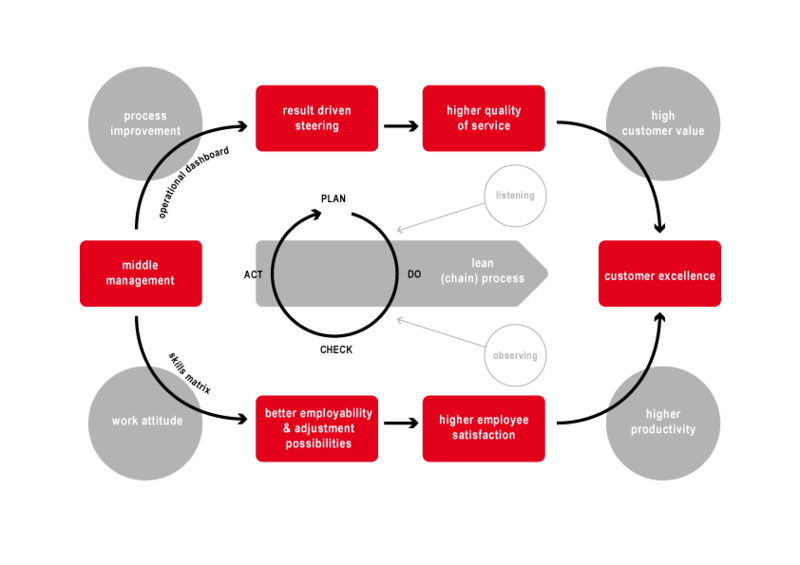 And the skills matrix which results in higher employee satisfaction and eventually higher productivity. Combine this with soft skills like listening and observing and executing improvement (PDCA) on the end to end process for sustainable results. Important is that the middle manager is in the driving seat and given the responsibility to act.